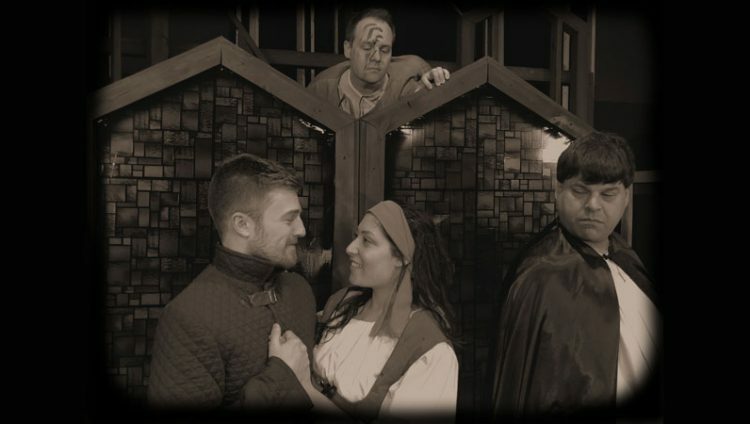 PINCKNEY—The Dio – Dining & Entertainment brings the musical, The Hunchback of Notre Dame, to the stage, music by Alan Menken, lyrics by Stephen Schwartz, and book by Peter Parnell. from April 5 through May 19, Friday and Saturday evenings, and Sunday afternoons. There will be two Thursday evening performances, April 4 and May 16, both at 6:30pm. Tickets are available online at diotheatre.com. The Hunchback of Notre Dame is directed by Steve DeBruyne with musical direction by Daniel Bachelis and choreography by Xavier J. Bush. The production will contain theatrical special effects including smoke, fog and loud noises. The Hunchback of Notre Dame features performances by Lydia Adams, James Beauregard, Alexis Benson, Tim Brayman, Steve DeBruyne, Quentin Fettig, James Fischer, Mitchell Hardy, Angela Hench, Marlene Inman, Keith Kalinowski, Alaina Kerr, Gayle Martin, Isaac Orr, Hayden Reboulet and Jared Schneider. All tickets include dinner, dessert and non-alcoholic beverages.